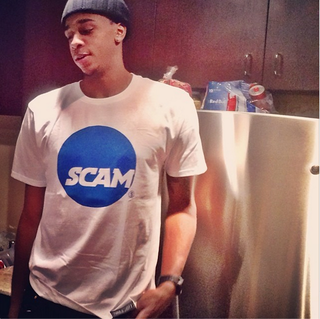 Milwaukee Bucks forward John Henson spent three years at the University of North Carolina before jumping to the NBA, and it looks like those three years as a Tar Heel left him with a pretty solid understanding of what the NCAA is really about. You're all right, John Henson. If you want this shirt for yourself, you can buy it here.